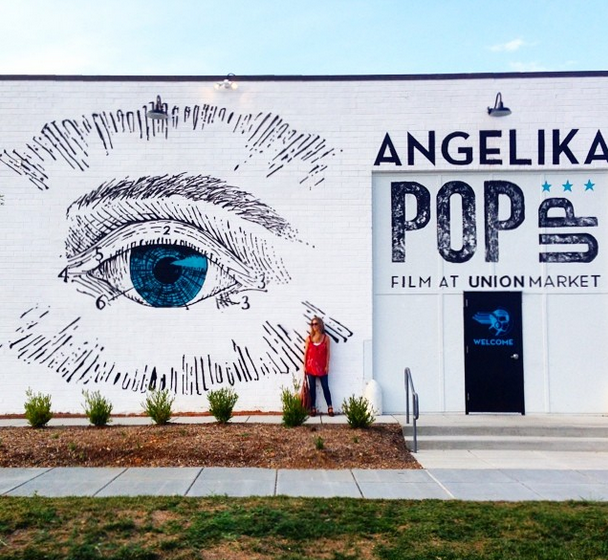 I'm pretty excited to have Angelika Film Center on its way to being a Salt & Sundry neighbor at Union Market. (Here's the latest in case you missed it.) I finally got a chance to see a movie (Chef, very cute) at their pop-up theater, right beside Dolcezza's new factory. It's a small sneak peek of what's to come once the full theater is built. You can check out the details for showtimes and such here. And plan to splurge at the snack bar. I'm a sucker for interesting concessions at the movies, and though I passed on the kale chips, classic popcorn, watermelon cotton candy and a local Port City Optimal Wit made a great treat.